In Zen meditation also begins with the removal of distracting factors of the mind, which are the Hindrances for the Buddha, but which are more vaguely and inconsistently identified as any grasping or aversion and thoughts of mundane affairs in Zen. Both methods involve the centering of the mind in the body. However, in Zen this is done primarily by attention to posture, for the Buddha by attention to the whole breath, but in neither case by focusing the mind narrowly on a single object. Both methods involve attending to a theme of meditation. This ranges for the Buddha over various body contemplations, over feelings, over mind and over phenomena (the Four Foundations of Mindfulness). In Zen it seems correspond most closely to what the Buddha calls mindfulness of mind or of conscious awareness itself, the mirror mind. Both encourage active factors of mind such as delight and investigation as critical components of meditation, roughly an active curiosity. We conclude our subseries on Zen meditation by considering the fundamental qualities of the meditative experience.. The implication here is that nothing is suppressed as it impinges on consciousness, but neither is it entertained, sought after or engaged in a conventional manner. 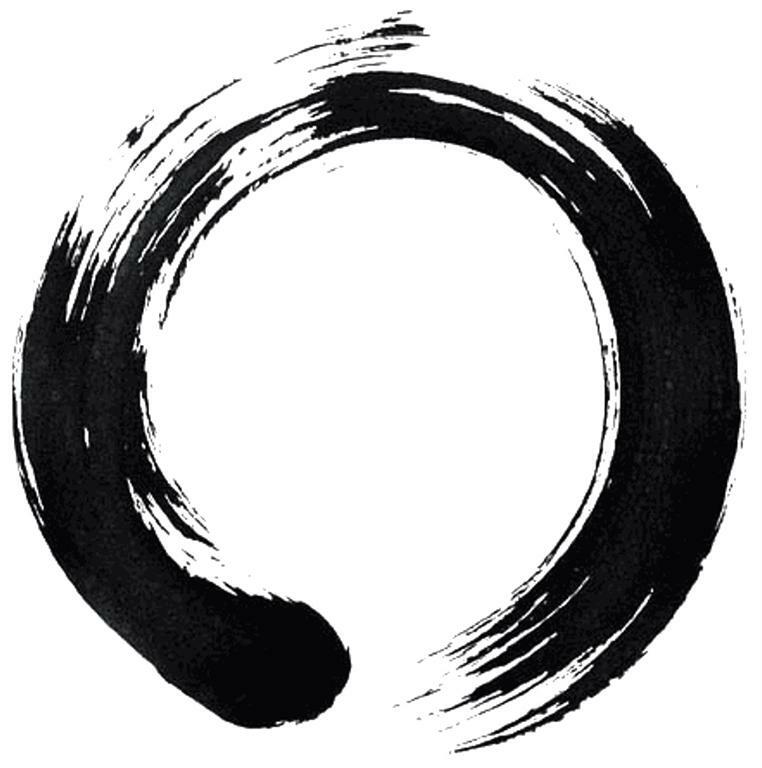 A clear difference in the Zen approach to samadhi is that it has no metrics. The Buddha spoke of four graded jhanas and movement from one to the other, and in fact the word “jhana” is used with primarily reference to the degree or depth of samadhi. 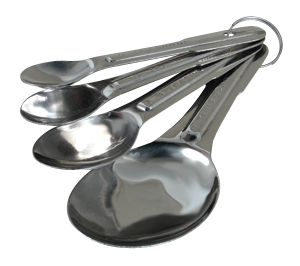 Zen (from Sanskrit “dyana,” Pali “jhana”) never refers to the four jhanas as such that I am aware of. Experience bears out that there are different levels of intensity of samadhi, but Zen seems uninterested in tracking which level the meditator is at. Even for the Buddha there is no indication that the meditator should set her sights on the highest jhana. Learned Audience, in my system Samadhi [Jhana] and Prajna [Wisdom or insight] are fundamental. But do not be under the wrong impression that these two are independent of each other, for they are inseparably united and are not two entities. Samadhi is the quintessence of Prajna, while Prajna is the activity of Samadhi. At the very moment that we attain Prajna, Samadhi is therewith; and vice versa. If you understand this principle, you understand the equilibrium of Samadhi and Prajna. A disciple should not think that there is a distinction between ‘Samadhi begets Prajna’ and ‘Prajna begets Samadhi’. 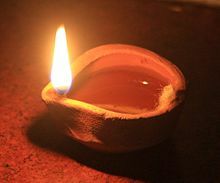 Recall that with fixed samadhi there is little opportunity for developing insight except outside of samadhi. Here are some passages that describe the insight end of samadhi in Zen. In Dogen’s writings he typically identifies this mind with awakening itself. Here is Hongzhi, a master of images from nature. The transition from vipassana, investigation and insight, while in samadhi to the higher attainments and ultimately to awakening is mysterious. There is no recipe. 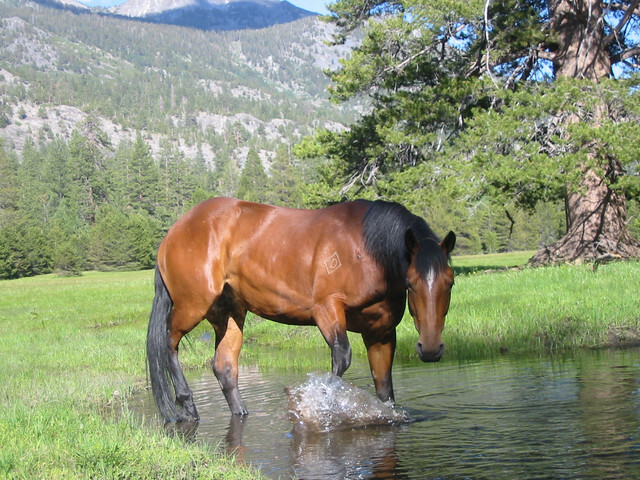 I am always reminded of the proverb, “You can lead a horse to water, but you cannot make him drink it.” Samadhi leads the horse to water, and things as they are are neatly arrayed before you, yet we do not know how get the horse to drink the water, how the mind will click into deeper understanding beyond concepts. Here Zen seems more interested than the Buddha in tracking these intermediate sudden understandings for which it often applies the word “kensho.” An interesting aspect of Zen is concern with seemingly arbitrary factors that can trigger kensho. Two well-know examples of such triggers from the early Zen literature is the sound of a pebble striking bamboo as a Zen student was sweeping and a Zen student suddenly noticing his reflection in water and wondering which one is real. I don’t know of clear examples in my own experience of teachers being adept in this skill. Rinzai teachers probably have a unique opportunity for triggering kensho (or for them, satori) as they work intimately with students in interviews accompanying meditative koan introspection practice, though my training does not qualify me to say much about this. This method of contriving conditions for insight seems to be found even in the Zen arts, The following instance of clever modern Japanese landscaping perhaps serves to illustrate the method: This involved a path that lead high up a mountain from which there had at one time been a continuous magnificent view of the ocean. 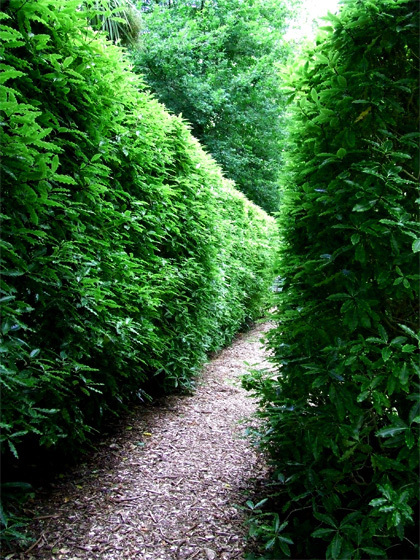 However the landscaper planted a hedge along the path that obscured this view, except at one point in which he provided a low break in the hedge. He placed a modern drinking fountain at that spot. At the moment the weary wanderer leaned over to sip the water the gap in the hedge is suddenly revealed and he sees a vast ocean of water at the moment he begins to take water into his own body. This is apparently an attempt to contrive an experience intended to evoke insight, much as an adeptly executed shout, thwap or tweak of the nose. Next week I will begin to consider Theravadin methods of meditation. This entry was posted on February 15, 2012 at 3:13 pm and is filed under buddhism, dhamma, Dharma, jhana, meditation, mindfulness, ritual, samadhi. You can follow any responses to this entry through the RSS 2.0 feed. You can leave a response, or trackback from your own site. I’d like to use the above page on our JustThis blog publication. Would that be ok? That way, as you add posts they will be available to all. 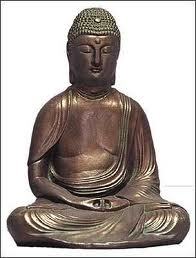 Zen, like all Mahayana traditions, can be described as “the path of the Bodhisattva” as opposed to “the path of the Arhat.” The goal of meditation is variously described as “realizing the Buddha-nature (tathagatagarbha, bussho)” or “awakening bodhicitta”. You’ve offered a lot of insight into the differences and similarities of the two methods, but not so much about the goal. Any thoughts on that? Your question is a good one. 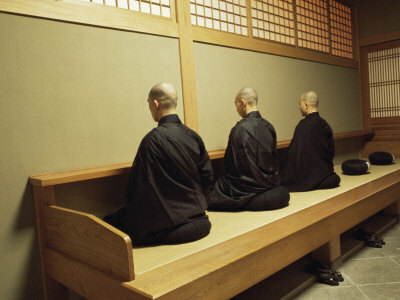 However, I have intentionally limited the scope of the discussion to meditation and touched on doctrine as little as possible.I have assumed throughout that the goal at least includes direct seeing of the way things really are and the loss of taints, unskillful mental habits.The first in Zen is often described as seeing the emptiness of all things. I will probably write about the paths of the bodhisattva and arahant in a future post. I have for a long time thought that the difference in terms of actual practice is not so great: There are many Theravada bodhittvas; all Buddhism emphasizes the development of compassion. Nonetheless the concept of the bodhisattva is one that the Buddha did not himself explicitly discuss, but has great appeal throughout the Buddhist world, and even made its way into Theravada thinking via the very influential borrowed Jataka stories. Recently I am beginning to think more explicit to the Bodhisattva path as opposed to the Arahant path does made a difference to how people think and behave. This is something I am slowly exploring myself. I’m new to reading about Buddhism, but I very much liked your description about the placement of the drinking fountain so that the person would view the ocean while drinking water. I think meditation is a lot like that. For me, after meditating, often a realization comes while doing a simple task like that. I wonder about the difference between Jewish and Buddhist meditation. R. E. Sherman writes in Buddha and Jesus: Could Solomon Be the Missing Link? 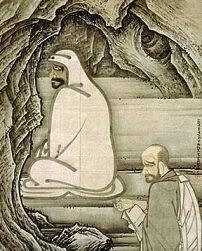 that he believes that Buddha may have been influenced by Solomon’s proverbs (http://www.buddha-christ.info). Thanks for your comment. I do not know anything about links between Judaism and Buddhism, though it would not surprise me to find some. There seems to have been more communication between India and the Mediterranean lands than is generally recognized. For instance, there are many parallels in the Buddhist Jataka tales and Aesop’s Fables. I’m actually fond of Aesop’s Fables, so thanks for mentioning the Buddhist Jataka tales. I’ll look into those as well. I had long wondered at the two terms Arahant and Bodhisatva. I have heard that people take the ‘bodhisatva vow’, to work towards becoming a bodhisatva and helping all beings. Perhaps there are others who set out to be Arahants. My question is, are these different paths for becoming these two different things — attaining to these states? Or are they variations of the same thing — or just the same thing, like samadhi and prajna, as you discussed earlier? Is it possible to set paths in meditation and become something? Or do you just let the path take you where it will? I am sorry if this question sounds too nit-picking or too childish, especially after the serious discussion earlier. Also, why are the Jataka tales ‘borrowed’? This might make a good next topic for my blog. I have generally held that these are not two paths, Arahant and Bodhisattva, but two different ways to describe the same thing. The common Mahayana view is that the Arahant path is selfish, concerned with one’s own salvation. But that does not make sense, because salvation entails letting go of any sense of self as separate from others. And compassion is introduced as a part of Right Resolve, as an essential ingredient of the way to do that. On the other hand for those still on the path it is very helpful to be reminded of the importance of compassion. I have always appreciated the language of the bodhisattva; it does entail an shift in emphasis, and probably one that Buddhism needs. Our teacher, Sitagu Sayadaw, a Burmese Theravada monk, and very much an engaged Buddhist, has taken on this language as well. Scholars seem to be agreement that the Jataka tales, except for a couple mentioned in early Suttas, constitute a later addition to the scriptures, but one that once introduced enjoyed wide-spread popularity and readily borrowed from one tradition to another. It highlighted the idea of the Bodhisatta, represented by the Buddha in previous lives. I read somewhere the claim that they originated in the Sarvastivadin School, which I believe developed around Kashmir. If I write a series on Bodhisattvas I will check all my facts.